Family Solanaceae. One of the most important food crops, it is called the "second bread". According to statistics, about 2/3 of all amateur vegetable gardens are used for potatoes, although in our area as a culture it appeared only in the time of Peter the Great. • Soil requirements Low acid (pH 5.5-6.0), loose, moderately moist sandy and even sandy soil also grows well on peatlands. The limitation is clayey heavy soils. In too dense soil, small, uneven tubers are formed, with an excess of nitrogen, they are almost not formed at all, but the tops of plants grow (the plant “fats”). • Humidity Requirements During the period of the formation of tubers, the humidity should be high, before they are laid out — moderate. For the formation of 1 kt of potatoes requires at least 80 liters of water, however, excessive waterlogging increases the risk of disease. High groundwater is contraindicated, but you can grow potatoes on the ridges. Good lighting is required. You can successfully grow potatoes only in a well-lit area. Shading leads to the formation of too small tubers. Tubers begin to germinate at a temperature of plus 5-10 "C, new tubers are formed at 16-18" C. Most varieties do not tolerate negative temperatures, the aerial part dies at minus 1 ° C. With a strong heat, the tubers stop growing, making it difficult to grow many varieties in the southern regions (only special zoned varieties can be cultivated). • Geographical restrictions on cultivation by zones and regions For the culture as a whole, there are practically no. Some varieties of potatoes can be successfully cultivated even in the tundra zone. Potato varieties are for the most part clearly zoned (adapted to the conditions of specific regions), but among them there are their own “generalists” who give a good harvest in a wide range of climatic conditions. 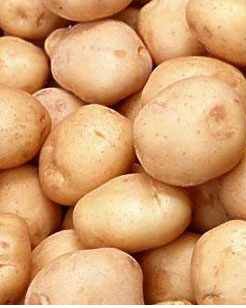 A characteristic feature of potatoes is that not a single variety retains high productivity for a long time — they degenerate after 10-15 years, so they must be changed periodically. For the same reason, seed must be updated every 2–3 years.